The glimpse of heaven can be caught in the town of Shelburne Vermont. The magnificent town of Shelburne is located in the Chittenden County, Vermont. The positioning of the town on the Shelburne Bay on the shores of Lake Champlain beautifies the town even more. With a blend of natural beauty and art crafts, the town is one of the best places in Vermont to spend some precious years of your life. Click to search Shelburne Real Estate. The town of Shelburne was chartered on August 18, 1763, by New Hampshire. In accordance with the charter, the town should include an area of 23,500 acres. Since the inception of the town, farming has been the major occupation in the town. Education is given a higher status in the town of Shelburne. This is the reason why educational provisions of the highest quality are made available in the town. Firstly, to educate kids at the elementary level, both public and private schools are present. The Shelburne Community School caters to students at elementary and middle level and is known for developing a good base for students. Other schools present in the town include The Lake Champlain Waldorf School and The Renaissance School. The town has a special inclination towards art crafts and one educational center offering education in this area is also present. The Shelburne Art Center plays an important role in honing skills of students in art and crafts. The Pierson Library in the town is one of those few structures running in the town for many years. The library is open six days a week and residents can avail its benefits to the fullest. It has been seen that public transport facilities are not available in every town in Vermont. However, Shelburne is an exception as here residents enjoy the facility of public bus transportation by Chittenden County Transportation Authority. The roads of the town are in good condition and traveling by vehicles becomes a pleasurable experience. The town of Shelburne has a complete range of health care facilities for the residents. Various medical centers are present inside the premises of the town where residents can reach in no time in case of medical emergencies. The economic condition of the town of Shelburne is quite good. Here, a wide array of opportunities are available in the area of businesses and it is not difficult to earn a living for oneself. From manufacturer to retailers, the town has a place for everyone. The Shelburne Museum – This art museum was established in the year 1947 and since then it has been the center of attraction for travelers. The museum exhibits the world’s best paintings, furniture, textiles and various other artifacts. 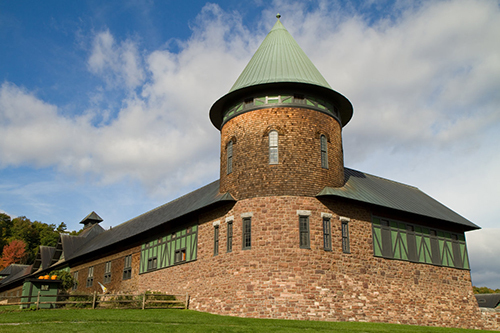 The Shelburne Farms – This is the center of environmental education. The Vermont Mozart Festival is also held in this location. A Public Beach – Another popular attraction in the town of Shelburne is the public beach maintained by the authorities of Shelburne. Visitors can enjoy various activities with their friends and family on a visit to the beach. During the summer season activities such as swimming and barbecues are popular. On the contrary, ice skating and ice fishing takes away the attention of visitors in the winter season.